Hey, folks, how's everything? You know after I spoke with Huey P. Meaux on the YouTube thing last month, I took a little heat. In my opinion, no discussion of Southern Soul can be complete without including Huey Meaux. When the opportunity to speak with him presented itself, I took it in the interest of preserving this rich history while we still can. Keep in mind that the person who brought Huey down in the first place was none other than Tom "The Hammer" Delay, who came up out of the same East Texas neighborhood Huey did. 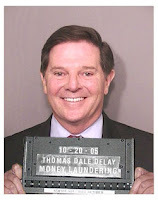 DeLay is now out of Congress and on Dancing With The Stars. "Let he who is without sin cast the first stone..."
Meaux had cemented his reputation as a hitmaker when, on the heels of his success with Sir Douglas, he brought a song he had produced back in Houston to a NATRA convention in Atlanta in 1965. WQXI deejay Pat Hughes took it and played it on the air, and the phones lit up. "You've got another hit on your hands," he told Huey. Don Robey, who was at the convention, heard about all of this, and picked the song up for distribution on his Back Beat label. Treat Her Right would propel Roy Head and The Traits all the way to #2 pop for Robey that Fall. Huey had done it again. 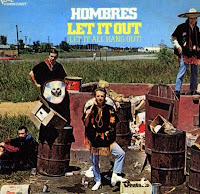 Shelby Singleton brought Huey a Memphis group called The Hombres, and he agreed to produce them there in Houston. The resulting Let It Out (Let It All Hang Out) would cruise to #12 Pop in 1967, this time on Verve/Forecast. "After that." Huey said, "they got crazy on me and I had to cut 'em loose. Some of 'em, when they hear themselves on the radio for the first time, they get to thinking why the hell they ever needed you in the first place..." They never charted again. 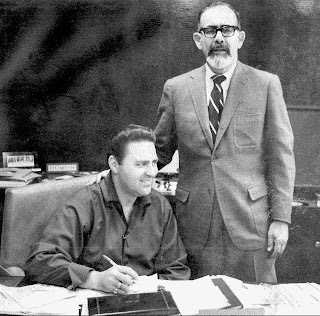 Later that year, Meaux took a record that was making some local noise on Houston deejay Skipper Lee Frazier's Ovide label and brought it to the attention of Jerry Wexler at Atlantic. Frazier had taken a popular vamp that the T.S.U. Toronados had been laying down at their live shows and had Archie Bell ad-lib some vocals over the top. 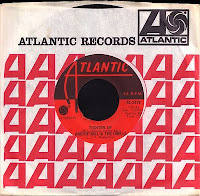 Skyrocketing to the number one slot on the Billboard Hot 100 for Atlantic in the Spring of 1968, Tighten Up would become the absolute sensation it remains to this day (it's just recently been named as Houston's Very Best Song Ever). Wexler was ecstatic, and from that point on, he and Huey became "like brothers," Meaux said. 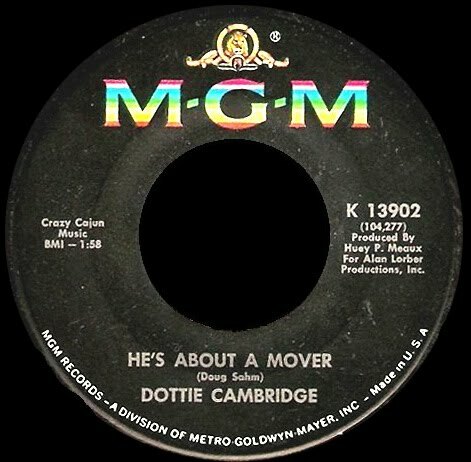 Atlantic had signed Barbara Lynn, and when Huey made the move to Clinton, Mississippi and opened up Grits n' Gravy, they released great 45s like This Is The Thanks I Get and You're Losing Me that he produced on her there. 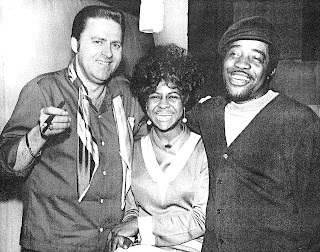 Shown here at the studio with Peggy Scott and Jo-Jo Benson, the records Meaux cut during this period are among his best. 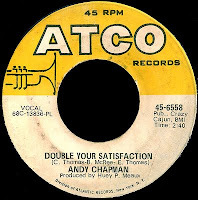 When I asked Huey about Andy Chapman, he had no idea who the hell I was talking about. I told him I had an ATCO 45 on him that was obviously produced there at Grits n' Gravy. "I don't remember nothin' 'bout him," he said, "which is kinda funny, cause I usually remember them all..." So I started googling. 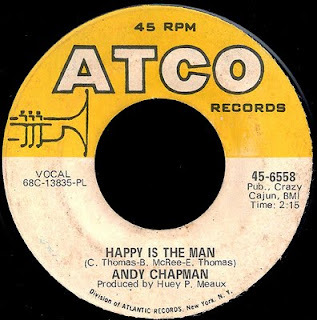 Other than the fact that someone named Andy Chapman was apparently quite the soccer player, I couldn't find anything. So I figured I'd search 'ATCO 6558' instead. What I found out kind of blew my mind (you can read the equally amazing story about the flip side of the record over on The A Side). Wexler was one of the few people who stayed in Huey Meaux's corner when he went away to jail and the whole Grits n' Gravy thing fell apart. 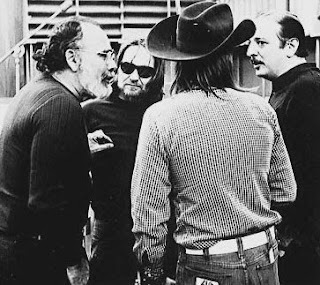 It was Meaux, after all, who introduced Wexler to people like Mac Rebbenack, Doug Sahm, and Willie Nelson. People Jerry would produce some of his favorite albums on in the 1970s. 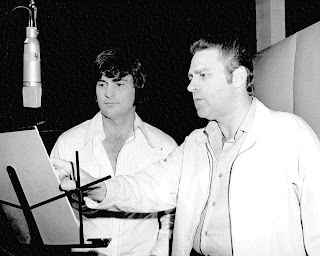 "I talked to him the day before he died," Huey told me, "and he said I was the number one producer. 'What about you?' I asked him. 'I had all that Atlantic money behind me... you did it out of your back pocket, and with feeling.'" Glad to see it confirmed that Dottie Cambridge is in fact Dorothy Moore. I'd heard rumors for a long time but this is the first I've seen it as fact. Thanks for the reportage! Yet another great blog entry Red. If there was anything that was lost in translation in my reply, it was that I adore this blog. And though I uphold that Huey did some pretty dreadful things in his personal life, I agree that his contribution to music was astounding. And to another, less relevant point, King Floyd's Handle With Care is one of the greatest songs I've ever heard. My girlfriend wept when I showed it to her. Keep doing what you do so well. Hi everybody, just a quick note about Jimmy Jones, he's credited as arranger on the very nice Doug Sahm meets Roy Head-sounding Meaux-produced Wayne Talbert LP Houston Nickel Kicks (Mercury 61259). Congratulations for your blog; regards from southern France; Didier.